About Peak Paper Co | Edmonton, Alberta Calligraphy and Custom Art — Peak Paper Co.
Hi, I'm Brittany Dakins! Owner and artist behind Peak Paper Co. Shortly after moving to Edmonton from Toronto, I was gifted a watercolour class at the paint spot with all my supplies. This class truly reinvigorated my love for the arts and lead to years of practice along with an ever growing (and overflowing!) collection of supplies. Now, I' love getting custom orders and collecting vintage atlases to letter travel-inspired décor. 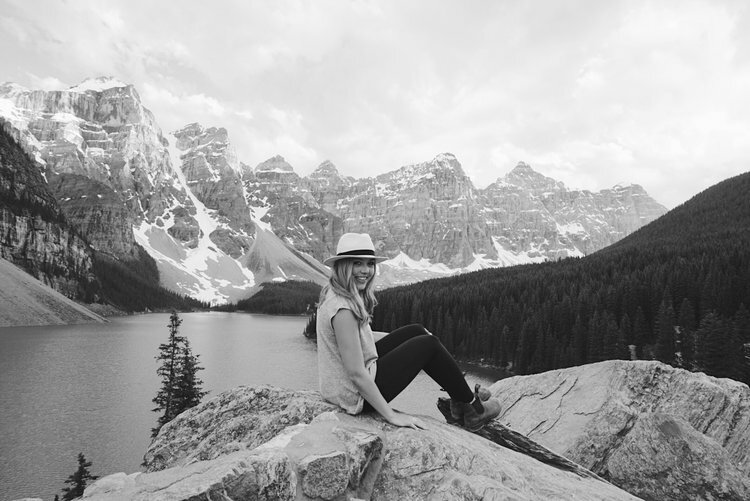 You'll find me hosting workshops, performing live art at events, selling at markets throughout the city, hanging out in downtown Edmonton and spending weekends in my favourite place + ultimate inspiration for Peak Paper Co: The Canadian Rockies.